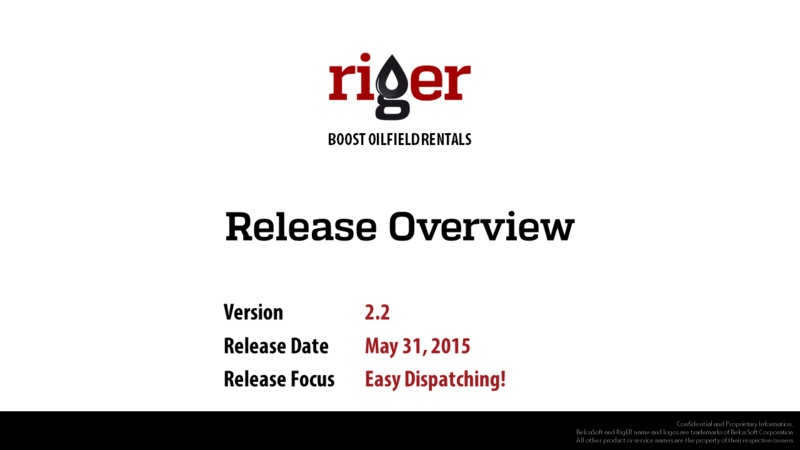 BelcaSoft is pleased to introduce RigER Version 2.2 – Oilfiled Dispatching. RigER becomes better and better each day. This new release is focusing on dispatching of oilfield service and rentals. Dispatching oilfield 24/7 is very stressful and challenging job. There are many different resources on the Internet about oilfield services, but we did not find oilfield rentals directory. We just organized new group at LinkedIn – Oilfield Rentals. BelcaSoft presents 2015 Oilfield Service and Rentals Action Plan. 1. CEOs will expect immediate and accurate information on top shale plays by the end of 2015. This month we will start to make monthly reports of Drilling Rig Activity in Western Canada. RigER presents Drilling Rig Activity Report: January 2015.